The Staircase to come up(or u can take the elevator ). downstairs is Gobo ChitChat. buffet style. 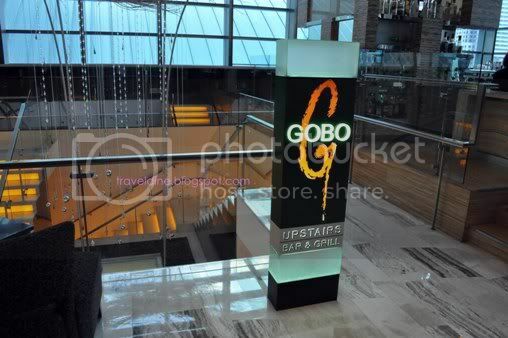 Gobo Upstairs Environment photo taken from their official website. 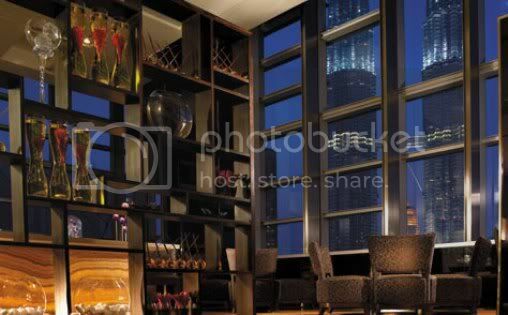 it's located in Traders Hotel, and there is a KLCC view available from here. 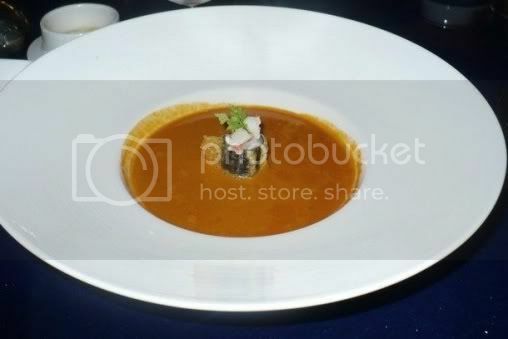 Brandy flamed lobster bisque with chocolate oil, what i can say is a must try here. highly recommended. 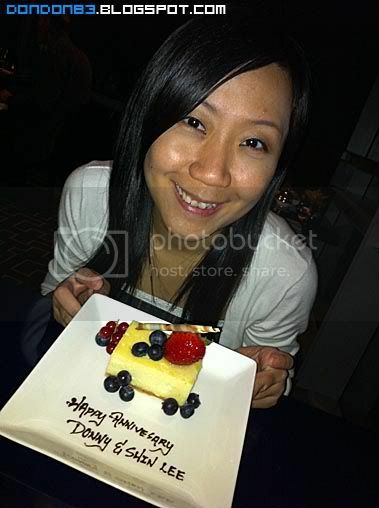 for me it's superb delicious :9. 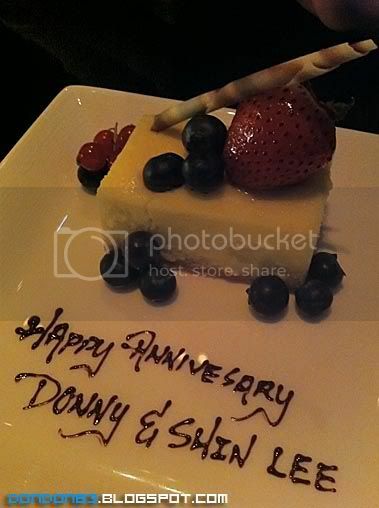 I request the desert to be serve last, and hope to be special.. and here's is the CHEESE CAKE. 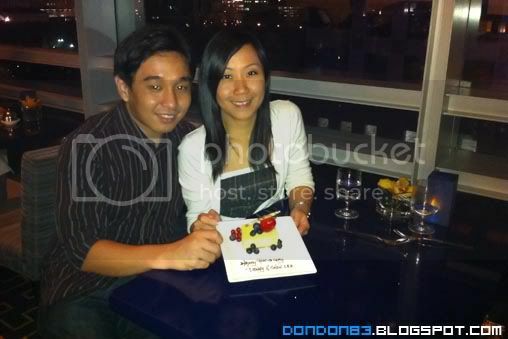 great piece of work :D. both of us a re happy man and happy lady. 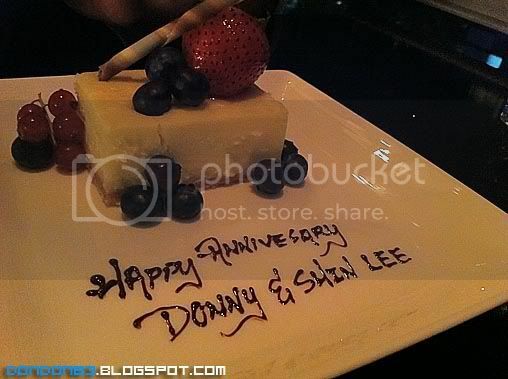 Cheese cake with chocolate writing on. the plate. look nice, look delicious.